Every day, millions of people enter "keywords" into Google for various things they are looking for and Google responds by displaying a number of websites that are relevant to the keywords they have entered in their search. The higher your website ranks in these search results, the more likely it is that a potential customer will find and click through to your website. This is known as Search Engine Optimisation. With countless people searching for your services online every day, the aim is to attract some of those relevant people looking for what you have to offer and bring them to your website. This is the process by which businesses get new customers by being online. Owning a website is the first step to entering the online world and accessing new customer opportunities. We offer an SEO guide below to help you understand SEO better. Please follow the links below for answers to our most commonly asked questions. Why Can't I See My Website in Google Yet? How Can I Get My Website To Rank For The First Page Of Google? What Does Small Business Web Designs Do When It Comes To SEO? Where Can I Learn More About SEO And Social Media? It is the process of helping your website get found online and ranked by the search engines when someone searches for a keyword related to your business. The aim is to get traffic to your website, from search engines, without paying for advertising. The higher your website appears on a search results page (known as a “SERP”), the more visitors it is likely to get and therefore the greater likelihood of generating a new lead for your business. This process is known as ‘organic’, ‘natural’, or ‘unpaid’ search marketing (as opposed to paid search eg Google Adwords). Search Engines are used every day by millions of people to look for information online. The most commonly used search engine is Google, followed by Yahoo, Bing and a few others. To help us explain SEO, Small Business Web Designs will talk about the most commonly used search engine in Australia, Google. Say you’re looking for a motel in Sydney. If you wanted to find Blooglobble’s Motel in Sydney, you might type “Blooglobble Motel Sydney” into google.com.au. It comes up first because it’s an extremely close match for the search term. However, if you don’t know the name of the motel, and just type “motel Sydney”, Greenwich Inn comes up first – Blooglobble Motel doesn’t even appear on the first page. A ranking in the #1 position on the first page of Google for a keyword will often get approximately 40% of traffic coming to their website... this is why it's a highly coveted position! You want as many people as possible to find your website, even if they haven’t heard of you. It's generally accepted that higher-ranking websites are more trustworthy and informative. SEO is the key to making this happen for your business’ online presence. There are two parts to SEO - on-page optimisation and off-page optimisation. Successful search engine optimisation involves continued efforts on both of these components. If you want anyone to find your website without paying for advertising, your success depends on SEO. There are many factors that search engines take into account. Google has previously indicated that their algorithm assesses around 200 variables when determining a website ranking! creating content that other people want to share and link back to - building a natural link network around your website. It’s important to note that it takes significant time for a website to move higher in the ranks and get found by users on the Internet. New websites will take up to 6 weeks before Google indexes them (ie recognises their existence in the search engines). So it’s best to get your website up as soon as possible to start building your online presence and get your domain to begin ‘ageing’. The reality is that you are competing with millions of other websites already online and you need to find a way to make yours rank higher. If you invest your efforts correctly, you will be able to harness the advantage of thousands of daily searches that occur in Google every day! As a website owner, it's important that you have good awareness of how websites work and more importantly, rank, among others in the search engines. There is a common misconception that having a website online will automatically mean that it will attract traffic and new clients simply by being online. However, the effort you put into your website is worth it for the opportunities that are available to grow your business and gain new clients online. This is a complex question because there are many aspects to SEO that will affect your website ranking, and the answer is not simple. Firstly, your website will rank differently for each keyword you type into Google. For example, if you provide massage therapy services in Sydney, and you want to rank on the first page of Google for "Sydney massage", the chances of ranking on the first page naturally are low because this is a very competitive keyword. That means that there are many other websites that have been engaging in long term SEO efforts to boost their website ranking (likely for years) to reach the first page of Google and you will be competing with them to try to outrank them. However, if you have a unique business name, such as "Ezgislom Massage", it's unlikely that other websites have been trying to rank for this keyword, so you are likely to come up on the first page of Google as it's lower in competition to outrank other websites. Less common, more specific and unique keywords are likely to rank higher because they are more targeted and have less competition - these are referred to as "long-tail keywords". For example, a keyword such as "Sydney pineapple facial massage" is unique, very specific and less competitive to rank for in the search engines so you can rank highly for this. Importantly though, there is no point in ranking high for a keyword that no-one searches for! Generally speaking, your unique business name should be able to rank on the first page of Google with on-page SEO alone. There may be some circumstances when it does not but there are always ways to keep working on it to boost it and our friendly team always here to help you with more ideas. When it comes to more competitive keywords (which generally incorporate more general, broad words), we cannot guarantee that you will rank on the first page of Google. However your website can still get found through search results for these words in numerous other ways which is why it's important to keep working on your website's reach and marketing. We will still incorporate competitive keywords in our keyword selection for your business for this reason. On-Page SEO - We conduct a Google Keyword analysis to identify the most relevant keywords for your business and region searched on Google. We select the most appropriate and relevant keywords and use this to optimise your website content website and the meta data with them so you can get found for these keywords. Meta data relates to the data that sits in the background part of your website pages which Google crawls through to determine your website relevance for a search. Off-Page SEO - This involves ongoing, long-term efforts to creating links back to your website and spreading its web presence. This can include a number of things such as an active social media campaign (Facebook, Twitter, Youtube etc), maintaining a high quality blog with regular posts, listing your website link in relevant industry websites and generally creating link networks back to your website. This is a separate paid service that is often used for competitive keywords and requires ongoing effort. However we offer many valuable suggestions as to how you can do these yourself. As part of our standard web design service, our team conducts a Google Keyword analysis to identify the most relevant keywords for your business, region and related keywords that are searched for by Google by users. These words are provided to us from Google keyword data and once we have generated a list of keywords, we select the most relevant keywords that are appropriate for your website and which also have reasonable search-volumes according to Google data. 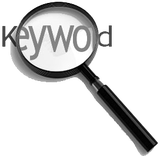 We select keywords that are being searched for, and some of these keywords are competitive, others less so if they are more targeted. It is still important to use all of the most relevant keywords even if they are competitive as they will still help your website get found through search results, even if not on the first page of Google. We conduct a Google Keyword analysis to identify the most relevant keywords for your business and region searched on Google by users. Select the higher-volume based keywords that are most appropriate to use on your website. Optimise the title, paragraph and keyword meta-data fields of each page on your website for these keywords. These are the fields that Google crawls through when it searches for the relevance of your website to particular search queries (it is not visible on your website). Naturally use these keywords when writing the content on your pages including titles, descriptions and tags that are picked up by Google. Most importantly, we have strongly optimised your website for your keywords in the meta data and content to boost your website from day one. We strongly believe in continued education about Search Engine Optimisation (SEO) and ongoing efforts to build your website's authority which will ultimately help it to rank higher. Our aim is to partner with you in achieving new leads through your website and we are here with you through every step of the way. Please know that you need to be invested in your website as much as we are in order to take advantage of the power of the Internet. We are not an SEO provider, but we can provide you with crucial information and actionable tips that you can do yourself to increase your rank. When you launch a new website, it is competing with millions of other websites that are already out there. Some of these websites have been working on their SEO for many years and become your strong competition ie you need to find a way to outrank them in the long term. Where Can I Learn More About Website SEO And Social Media? Do You Recommend Any SEO Providers To Get My Website Page 1 Of Google? At this time we do not recommend an SEO provider for long term off-page SEO. We have not had an experience with an SEO provider that has proven their works to us to be effective and shown first page results in the time they specified. Personally, our business does its own SEO - that has been the only true path to our website rankings! While we know SEO extremely well, our business does not offer this service at this time. In the next 12 months, we will be staging the release of various SEO services that you may be interested in, such as social media campaign management and blog posting, which are two of the most effective SEO things you can do, among others. We will keep you posted as we release these services in coming months. We also encourage you to talk to other SEO providers to see what they offer and we are always here to help you make a decision about this by sharing your thoughts and ideas with us. Learning about the process will help you be informed and ask the right questions. An SEO provider can be costly and while it can be worth it if successful, it's best to do some things yourself to save cost and it also happens to be the quickest path to learning - by doing it yourself! Then you will know if you need external assistance. Are There Any Things I Can Do To Boost My Website Without Paying For An SEO Provider? Yes! Please read our Tips to boost your SEO ranking. Most importantly, please keep the awareness that SEO is a product of time and effort so don't expect results overnight. With the right guidance, you can take your website to harness the thousands of daily searches that can be your next customers so please keep up your efforts and learning.